For trucking companies, the potential for rate increases could help offset costs tied to driver pay and turnover — areas where they’ve increased spending despite rates that have remained flat year-over-year. 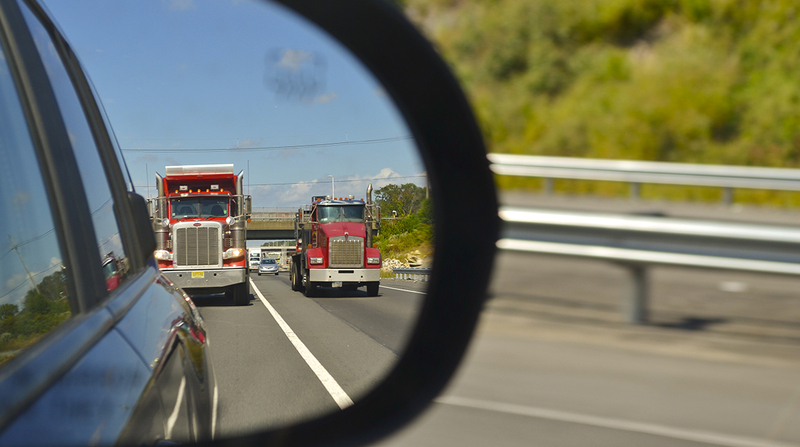 “Earlier this year, truckload volumes were flat, but that started to change in the late spring and now there’s a tighter driver market,” American Trucking Associations Chief Economist Bob Costello said. Earlier this year, ATA reported that second-quarter turnover at carriers with more than $30 million in revenue jumped 16 percentage points to an annualized rate of 90% — the highest its been since the fourth quarter of 2015 and the largest quarterly increase since the final quarter of 2010. The National Driver Wage Index, which measures over-the-road driver pay, rose 0.9% year-over-year in the second quarter, but the index is likely to grow at a faster pace on strong gross domestic product data and the ELD mandate, according to the National Transportation Institute. Gordon Klemp, the group’s founder, reasons that rate increases are necessary to offset the expected productivity loss from ELDs and to mitigate turnover. “You’re in a box of, ‘Our margins are eroding already because all the other costs are going up, so what do I do with drivers?’ You’re in that ‘I’m not sure what to do’ window. You want to do it because you know you need to do it and if you don’t, you’ll end up paying for it later when drivers leave for another company,” Cowan President Dennis Morgan said in August. Capacity tightened further after the hurricanes in Texas and Florida, which diverted trucks from other markets and sent spot rates skyrocketing. The pressure also escalated in the contract environment as nervous shippers opened their wallets to guarantee truck availability, according to multiple fleet executives. For shippers, one solution is to push up the bid cycle to the fourth quarter. Mike Regan, co-founder of TranzAct Technologies, said he believes that locking up rates now will likely result in a lower percentage increase than those that don’t react until January or February. An apt analogy, he stated, is booking an Uber or Lyft ride before a surge in demand, as people who request a vehicle earlier will spend less than those who wait too long. Satish Jindel, president of SJ Consulting Group, said he thinks the current capacity crunch is “a perfect storm” of the hurricanes, ELDs and retailers demanding stricter levels of service. One of those retailers is Wal-Mart, which penalizes suppliers who deliver freight too early or too late. The initiative — dubbed On-Time, In-Full — mandates that products arrive at the scheduled delivery time 75% of the time, a standard that will rise to 95% next year. Wal-Mart fines suppliers up to 3% of the shipment’s value if they don’t meet the benchmarks, putting trucking in the crosshairs of the retailer’s supply chain. Transplace, which assists in the procurement process, suggests shippers start to talk with trucking companies in their core carrier network. The Dallas-based company ranks No. 49 on the Transport Topics Top 50 list of the largest logistics companies in North America.